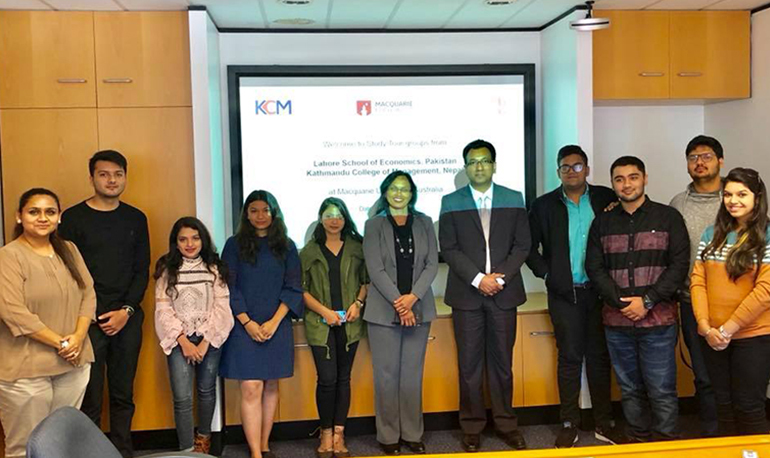 Kathmandu College of Management (KCM) is proud to be associated with Macquarie University, Sydney, Australia, to collaborate and share knowledge and expertise in the areas of teaching, research and other programs and activities. For three consecutive years KCM & Macquarie University has enhanced the relation through academic and cultural interchange. We would like to congratulate all the students who have gone for a study tour to Macquarie University this year, where they are taking classes regarding various contemporary business issues.